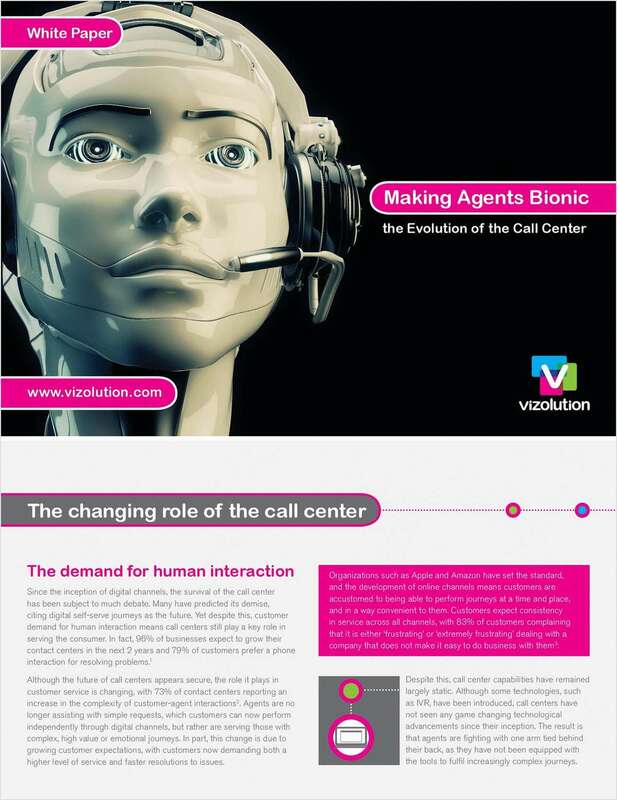 "Making Agents Bionic: The Evolution of the Call Center- North America"
Free White Paper: "Making Agents Bionic: The Evolution of the Call Center- North America"
The complexity of customer-agent interaction in contact centers is increasing. Is your organization ready? By submitting this content request, I have legitimate interest in the content and agree that Vizolution, their partners, and the creators of any other content I have selected may contact me regarding news, products, and services that may be of interest to me.